The world's oldest active thoroughbred stallion Turgeon died peacefully in his box on Monday, marking the end of his distinguished National Hunt stud career at the Devin family's Haras du Mesnil near Le Mans in north-west France. 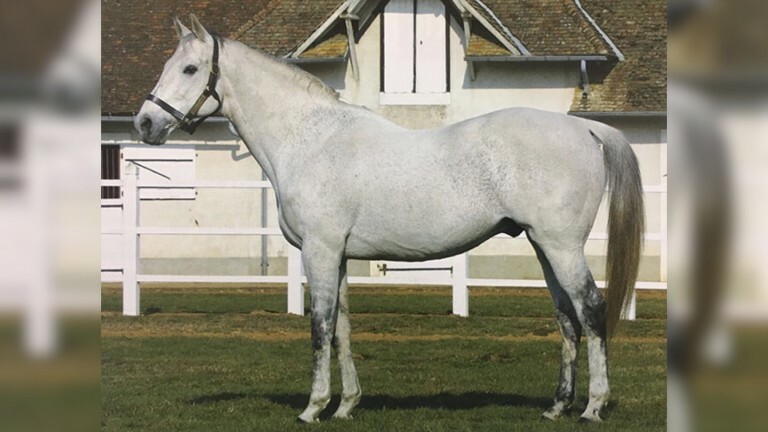 Among the last representatives for the Grey Sovereign sire line at stud in Europe, Turgeon will leave a lasting legacy as a brilliant source of jumpers, with Siruh Du Lac becoming his second Cheltenham Festival winner this year after Chapoturgeon, while son Exotic Dancer was twice placed in the Gold Cup in addition to his Lexus Chase win at Leopardstown. His daughters, meanwhile, have produced the likes of Aux Ptits Soins, La Bague Au Roi, Pepite Rose, Politologue and The New One. Hopes will be high his Topham Chase-winning daughter Ma Filleule can copper-fasten his reputation as a broodmare sire after she fetched €220,000 at the Deauville sales last year. "Turgeon was very much part of the family and we were so lucky to have him," said Antonia Devin. "He was an extraordinary horse who gave us great joy and who was always in terrific form. He was an outstanding leading sire and grandsire at the same time and I don't think many stallions have done the same. "He produced Shannon Rock who gave us many great thrills in the Grand Steeple-Chase de Paris [runner-up from 2011 to 2014] and Prix La Haye Jousselin [won in 2013, third in 2012]. "He also produced Tight Lines who is now representing the USA in eventing competitions - there isn't much his progeny cannot achieve." Foaled in the spring of 1986 - before Diego Maradona scored his infamous 'Hand of God' goal at the World Cup in Mexico - Turgeon was bred and raced in the earlier part of his career by owner-breeder George Strawbridge. Trained by Jonathan Pease, the son of Caro won two of his seven starts as a three-year-old, including the Group 2 Prix de L'Esperance. His sole win at four came in the Group 2 Prix Vicomtesse Vigier, a race he followed up in the following season as part of a remarkable five-year-old campaign in which he also strung together victories in the Prix Kergorlay, the Irish St Leger and its French equivalent, the Prix Royal-Oak. Though he did not win in the colours of his next owner, Sheikh Mohammed, he took third twice in the Gold Cup at Royal Ascot. Among the jockeys to have ridden him throughout his career were Cash Asmussen, Steve Cauthen and Tony Cruz. Recruited by Henri Devin to stand at Mesnil at the end of his racing days, Turgeon's astonishing longevity as a jumps sire was again in evidence last year when he covered 26 mares at the age of 32.